WEEKLY 4/12 | Easter Egg Hunt is tomorrow at 10am! Lunch & Learn goes on location at the Radnor Memorial Library next week! OUR ANNUAL EASTER EGG HUNT IS TOMORROW! 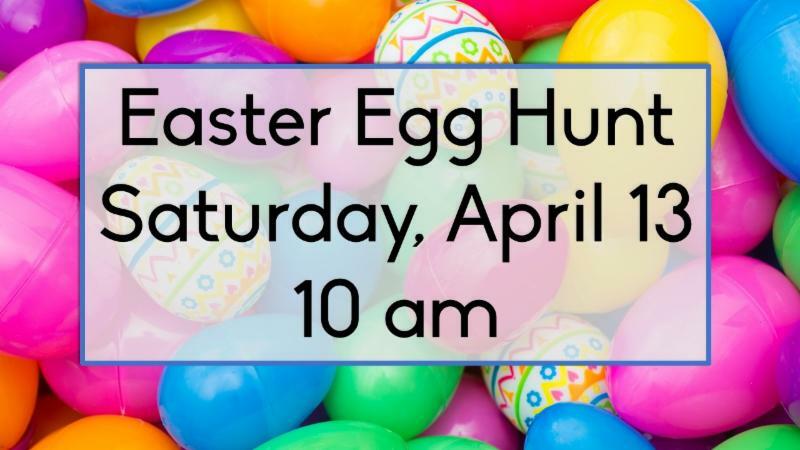 Don't miss our annual non-competitive Easter Egg hunt! For families with children in 4th grade and under on our front lawn. There will be a special toddler egg hunt as well. Help needed at 9:30AM for hiding the eggs. SERMON SERIES WHEN YOU PRAY CONCLUDES THIS SUNDAY! * Easter Sunrise is a combined service with 5 local Methodist churches. We will gather at the Muhlenburg Brigade, stop #2 on the Valley Forge Park Tour, south of the Visitor Center. In March, Brian Ivey reported on the progress of the three teams that make up our “Children’s Ministry Task Force” whose combined goals are to prepare the way for our church to fill the unbelievably big shoes Janet French will be leaving. The first is the Children's Music Program and Children's Ministry Environment team which will be looking at music and its role in our children’s Sunday programming and then make recommendations on how to change/improve these efforts. Also, they will be assessing our children’s ministry facilities and make recommendations on how we might improve this area for more effective ministry. Things like lighting, furniture, cleanliness and order will be looked at. Team #2 is the New Staff Role & Curriculum (A.K.A. the “Janet 2.0” committee.) They have outlined the top qualifications for our new applicant which are, a passion for children, a strong sense of faith, experience in Christian ministry and to have a background in children's education. 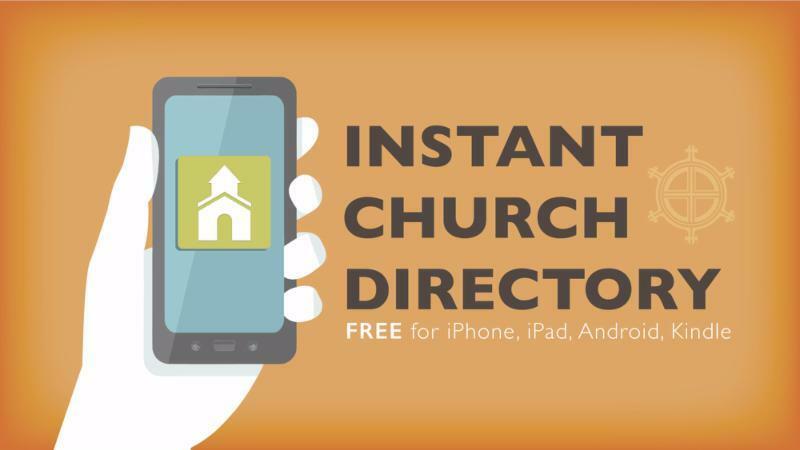 They have been soliciting feedback from like-minded churches that have recently gone through the same process as well as reviewing potential options for new curriculum software. Lastly, there is the Sunday Scheduling and Volunteerism team which will be evaluating the current schedules for worship and children's ministry and comparing to other church schedules. They may recommend changing the schedules to make it easier for kids to attend and will be soliciting feedback along the way. In addition, they will be evaluating how we engage with the church to increase volunteer support to keep these programs going! We ask for your prayers for these teams, as well as our next children’s ministry coordinator, wherever they may be today, for the Holy Spirit’s presence and influence to guide and bless everyone involved with this process. We are thankful that so many have answered the call to step into these teams to do such important work for the future of our children’s Christian education. We will be meeting "on location" at our newly renovated Radnor Community Library at 114 W. Wayne Avenue (not at Wayne Church!) Join us in the Winsor Room on the lower level for lunch and meet Ann Laepple, Executive Director, who will guide us around and explain the state-of-the-art modernized new library facilities. You may park in the church parking lot and walk across the large parking lot to the library, or ride the "shuttle" beginning at 11:30. Donation of $10 to cover lunch. You must RSVP by the Tuesday before the luncheon. 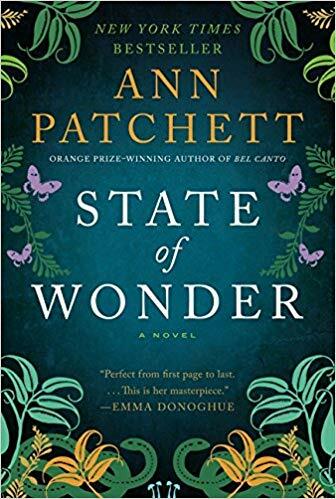 State of Wonder by Ann Patchett is the next book we will be delving into. There are used copies available in the Narthex for $5. From Amazon - "Award-winning, New York Times bestselling author, Ann Patchett, returns with a provocative and assured novel of morality and miracles, science and sacrifice set in the Amazon rainforest. Infusing the narrative with the same ingenuity and emotional urgency that pervaded her acclaimed previous novels Bel Canto , Taft , Run , The Magician's Assistant , and The Patron Saint of Liars , Patchett delivers an enthrallingly innovative tale of aspiration, exploration, and attachment in State of Wonder —a gripping adventure story and a profound look at the difficult choices we make in the name of discovery and love." LADIES' SPRING POTLUCK IS FRIDAY, MAY 31 @ 7PM! Save the date now! We will be enjoying a fun night of fellowship and delicious food while catching up with friends and strengthening connections within our church family. Plan to bring an appetizer, side or even main dish. Michele Leonard will, once again, be our gracious hostess and she will provide the rest. Festivities will begin at 7pm but stop in when you can. Questions or want to RSVP? Email Michele here! Every other month, Wayne Church provides a home-cooked meal for the homeless at Chosen 300’s Pottstown location. We have many opportunities for involvement, shopping, cooking, scooping, running so sign up if you are looking for a very rewarding ministry to be part of. Questions? Please contact Kimm Ebersole or Agnes Fischer . From 5 to 7:30 PM at Appleford Estate, 770 Mt. Moro Road, Villanova. This festive evening of music and dining will benefit Interfaith Hospitality Network. They will be honoring Susan Ayres, one of the founding coordinators, and hearing from special guest, Mark E. Talbot Sr., Norristown Chief of Police. Music will be compliments of The Jazz Sanctuary. For more info or to buy tickets, click here! Young Lives is a faith based organization who helps teen Moms. They hold a “club” every week with leaders who fellowship with them and share the Gospel. We will be providing a meal for about 25 people, delivering it to Phoenixville, serving, and helping with babysitting during the club. Ladies, if you are interested, please contact Laney Douthit. Thanks to all who donated to, worked at, and shopped at our April Rummage sale. With your help, we raised $1800 for church missions, redeemed gift certificates from a half-dozen food pantry recipients, gathered shoes for Chosen 300 and socks for homeless men, passed on lots of good stuff for GreenDrop, kept our things out of the landfill, and created many happy customers! The Rummage Team will be meeting over the summer to keep this activity going next fall. If you'd like to join the team, please contact the church office. 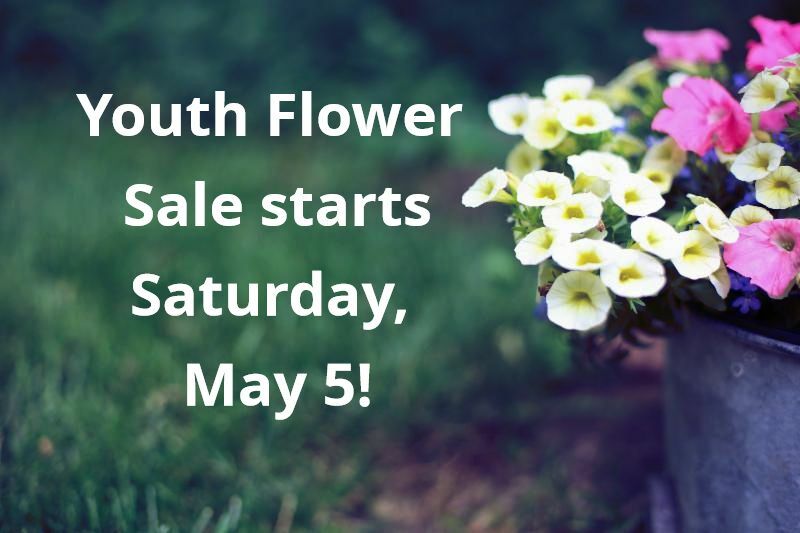 SPRING IS HERE AND THE FLOWER SALE IS COMING! Plan to come check out the wide variety of annuals, perennials, herbs, and veggies. Bring friends and neighbors! Great quality and prices. All proceeds benefit youth summer mission trips! Our food pantry has been blessed to receive the ongoing support of many outside food drive partners such as the Radnor Public School District. However, we need your help to connect with future donation partners and local organizations to keep our shelves supplied year round! You can help by telling your friends and neighbors about the Wayne Church food pantry and by letting the Food Drive Team know of any schools, businesses, or other organizations that may be open to partnership opportunities! Feel free to speak with or contact any of the following food drive team members: Nancy Brown, Bob King, Michele Leonard, Susanne Mertens and Sandy Sage. Click on their name to email them! Lane Montessori is looking for a few good assistants! Shifts vary from 11:30-6, Monday through Friday. Teams teach children 18 months to 6 years. Immediate start, 3, 4 or 5 hour shifts, $10 an hour. Please contact Anne or Joanne at 610-898-9200 or southwaynelane@gmail.com. Gentle Yoga is back at Wayne Church at a new time! This class is for all levels with a focus on stretching/moving for folks looking for a gentler experience, new to yoga, or people with injuries or limitations. Donation $5 per class, plus food item for the food pantry. All proceeds go to the food pantry. Recommended for ages 18 & up. Open to the community, bring your friends! Questions? Email Karen Bruno here!